The cash-strapped municipality of Bengaluru, Bruhat Bengaluru Mahanagara Palike (BBMP) has acknowledged the long-known financial problems the BBMP is facing. 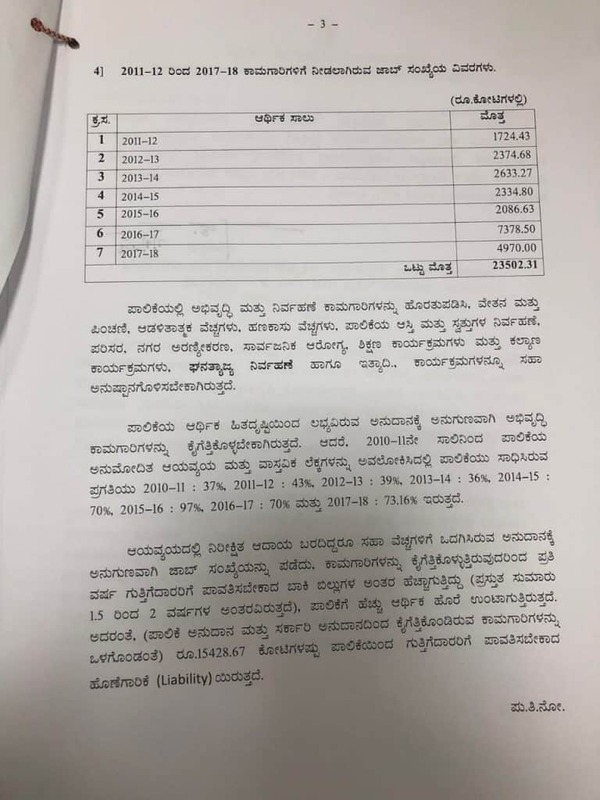 BBMP is unable to fund the pending infrastructure projects, with amounts payable by the BBMP including pending bills mounting upto Rs 15,428.67 crore. 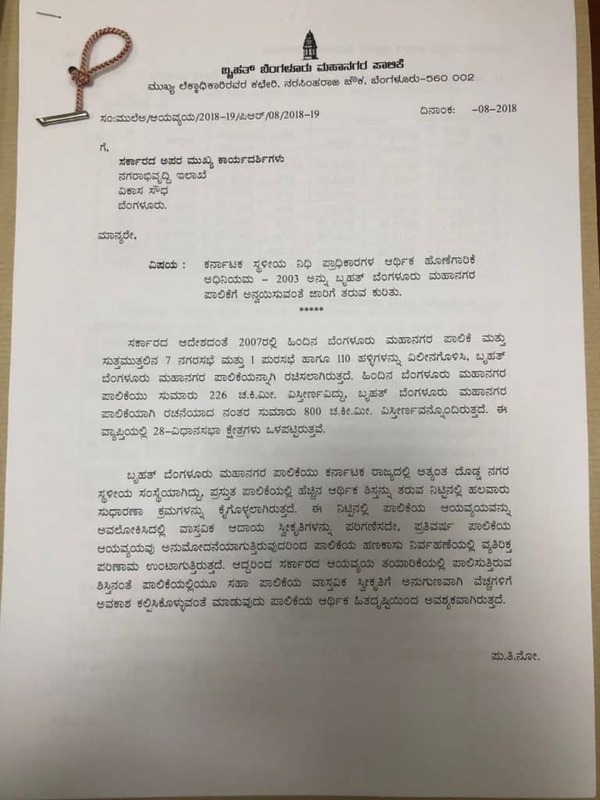 BBMP Commissioner N Manjunatha Prasad formally wrote to the Karnataka Urban Development Department asking that the BBMP be brought under the ambit of Karnataka Local Fund authorities and Fiscal Responsibility Act, 2003. 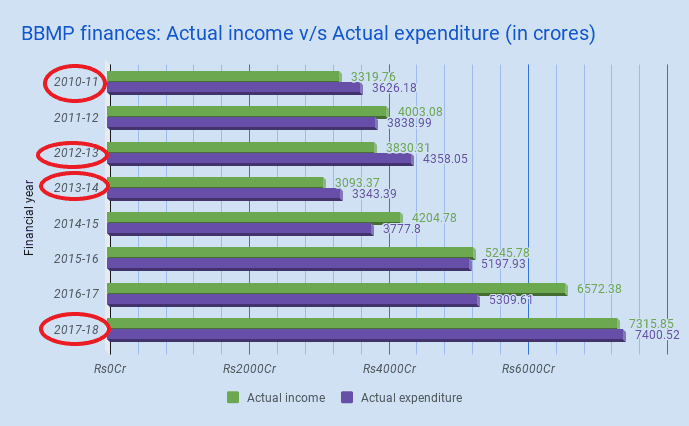 The act says the local body must compulsorily try to achieve ‘sufficient revenue surplus’ – excess of income generated in comparison to projected income. The commissioner has sought a system to restore financial discipline in BBMP, to match the amount earned with the expenditure. 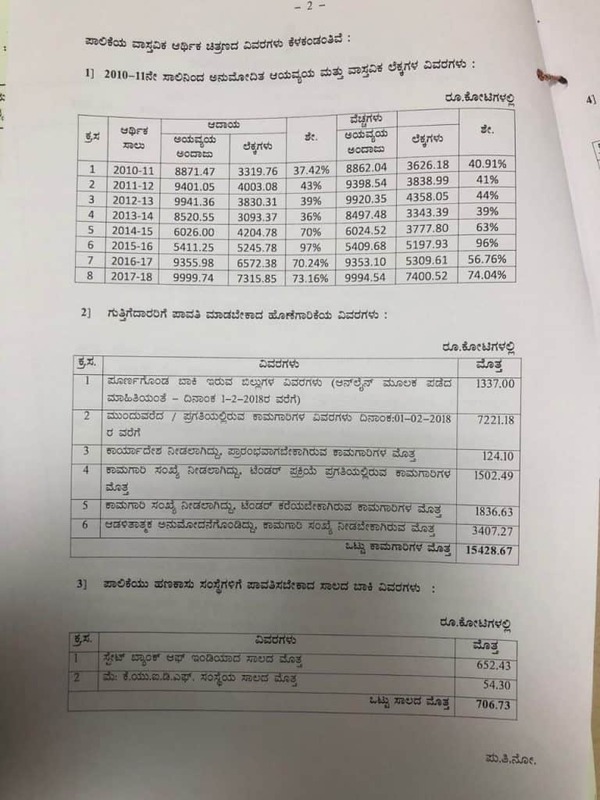 The data given in the letter shows that once in a while, the BBMP spends more than what they earn, and the spill-over bills are paid in the next year. Regular infrastructure and maintenance works become the casualty in the process, as the city has seen over the years, with problems in waste management, roads, traffic and potholes troubling the city often. The data in the letter shows that the gap between budgeted figures and actual figures is actually closing during recent years, while it was about 35-40% until 2014. 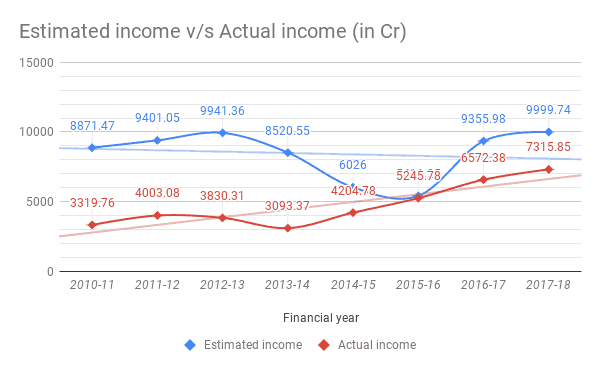 Receipts have been improving gradually, as per the data. 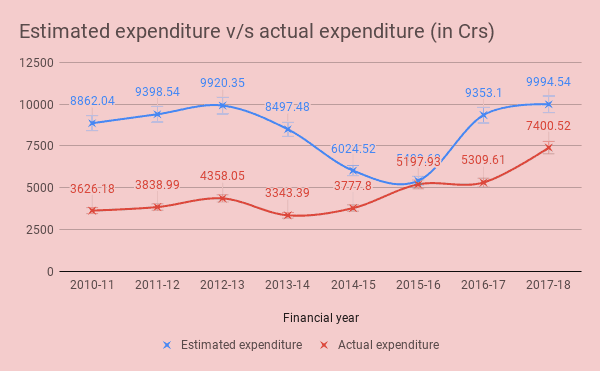 Data reveals that in 2015-16, the budget was more realistic than ever before, and ever after too, with expected income, actual income, planned expenditure and actual expenditure almost matching each other. 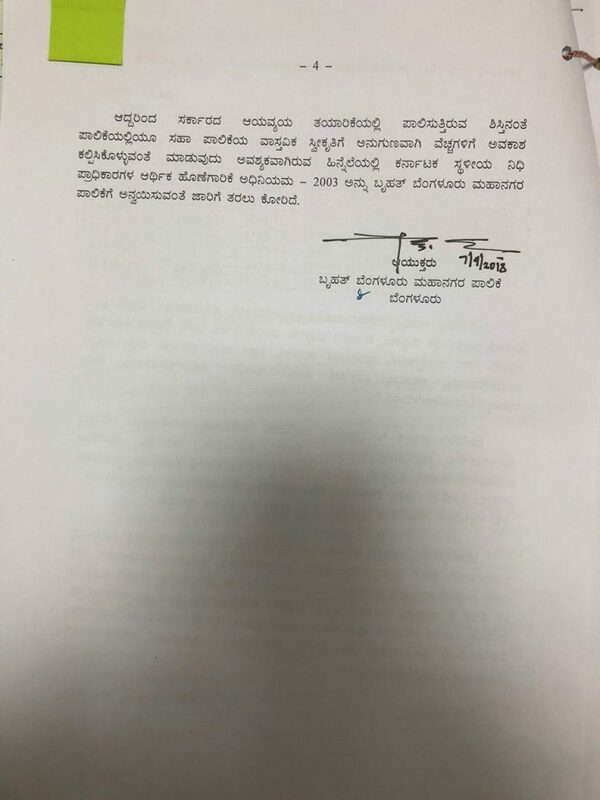 It can be recalled that BBMP election was held in 2015, hence a full-fledged budget could not be presented at the end of the financial year 2014-15. Note: Charts were done by Shree D N. Seema Prasad contributed to this story. Tree planting, housing for backward groups, more money on infrastructure is all what BBMP budget puts forward. Never close to reality, this year the budget looks bloated to a very good extent. 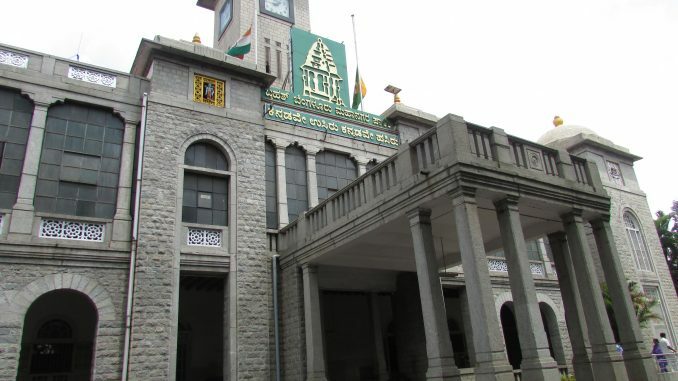 The BBMP’s 2010-11 budget of Rs 8488 crores has been approved, with steep revenue projections. 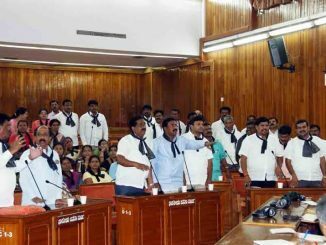 Commissioner H Siddaiah appeals to corporators and officials to wake up to the ‘challenge’.